The most asked question about hair transplant is that how many grafts will be required for the procedure. The question is difficult to answer without consulting the doctor as he will examine your hairs and then will tell you how much hairs are ideal to be used as graft. If the procedure does not involve much time because of the area to be treated then 900 grafts are required otherwise around 3500 grafts are required for the hair transplant surgery. 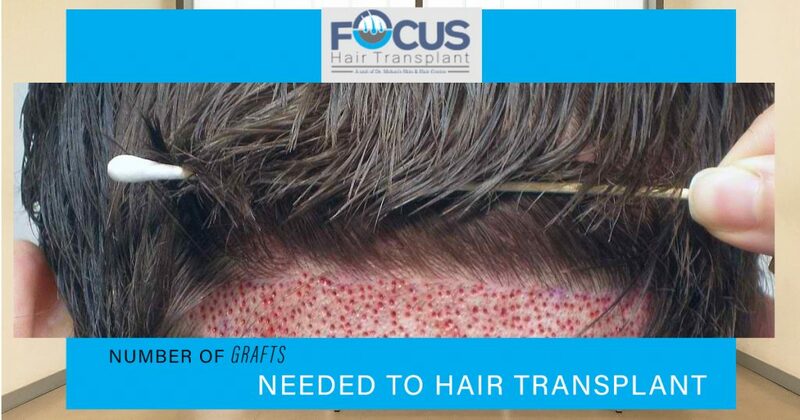 What Are The Different Factors That Determine The Number Of Grafts? There are some factors that will help the doctor to see how many grafts are required for the surgery. The extent of hair loss or at what stage the hair loss is reached? What is the quality of the donor area? The strength of the hair follicles which are not damaged. How many follicles can be taken from the donor area to treat the affected area? Examining the medical history of the patient. In the first session of the surgery, it is a stand-alone procedure. In this, the goal is to fill the crown area and the grafts which are required is around 800 to 1400. Whereas in the second session the density of the hairs is checked to see the progress of the transplant. The cost of the surgery is not dependent on the number of grafts which are required for the entire procedure. When the surgeon is examining the hairs he will design a hairline so that they achieve more desired results and in this way, they will also estimate the number of grafts. It is also important that the procedure should make the hairline look natural, it should fit the person’s facial features, and the shape of the temple. One of the thing which you should keep in mind that hair growth will vary from patient to patient. The results of the surgery may be not satisfying for some patients. It is also not important that after the surgery the hair growth will be the same, as they might look different.